Charlene majored in biology at Boston University and worked in medical research before earning an MBA from Pace University. Now her financial experience benefits LCF, among many other nonprofit groups. Tria Consulting specializes in asset management, estate planning, business succession planning, and planned giving. This is not Charlene’s first firm; she co-founded Wood Asset Management, Inc., an SEC-registered investment advisory firm, and Empire Financial Corporation. 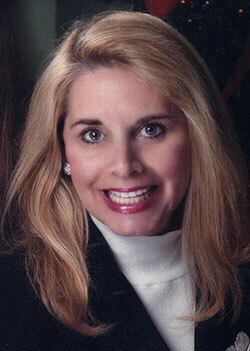 She is also a founding board member of Sabal Palm Bank in Sarasota. A former trustee of Pine Manor College in Massachusetts, Charlene has served locally as a board member of Goldie Feldman Academy, the Humane Society, and the Consortium for Children and Youth. She has also raised money for Habitat for Humanity, the Child Protection Center, and New College Foundation, as well as the H. Lee Moffitt Cancer Research Institute in Tampa.